Book Sculpture: Literary Maze On Display At London 2012 Festival (PHOTOS). 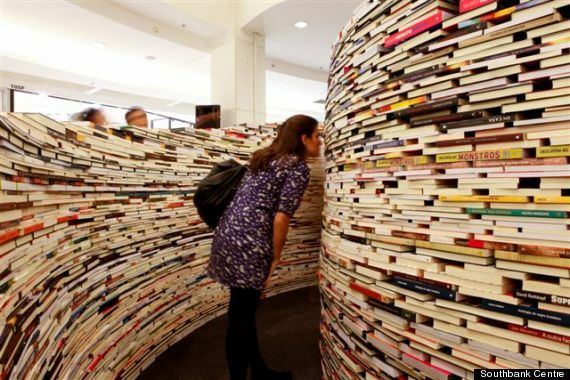 As part of the London 2012 Festival, Brazilian artists Marcos Saboya and Gualter Pupo sculpted a maze made out of books. The instillation, called aMAZEme, was inspired by librarians and lauded author Jorge Louis Borges’ stories, which were both figuratively and literally labyrinthine.